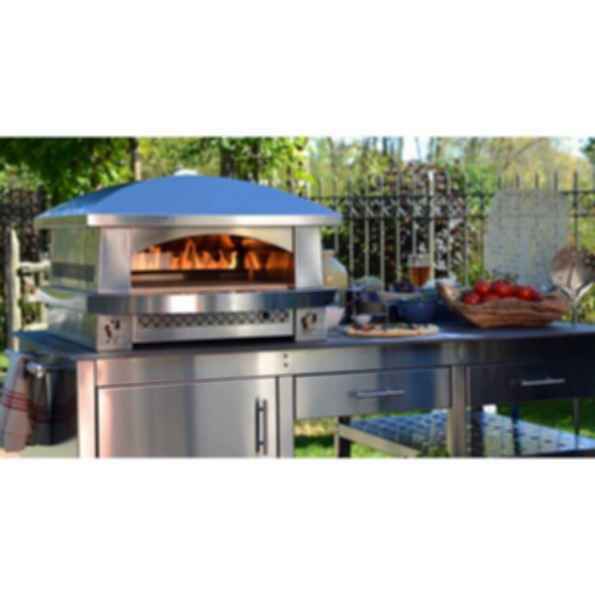 Outdoor gas-fired countertop pizza oven. 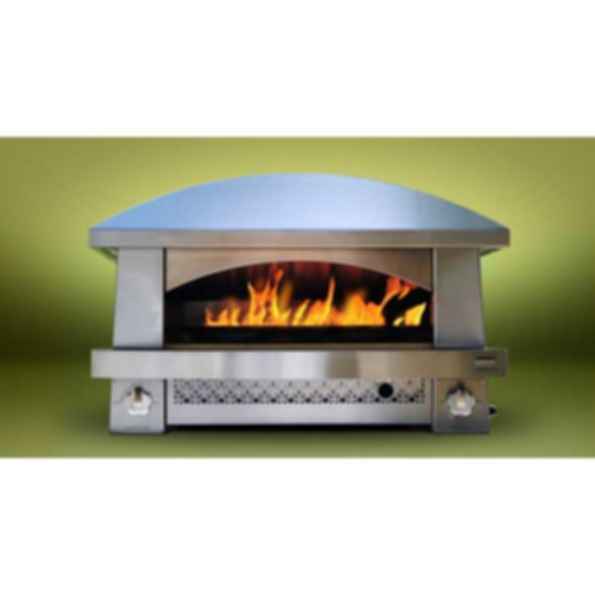 42,000 BTUs NG or 35,000 BTUs LP. 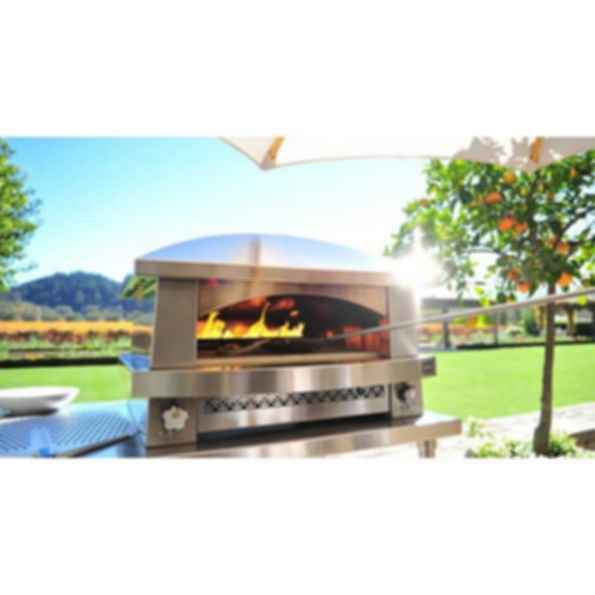 Responsive ceramic cooking deck and composite ceiling liner for enhanced heat dynamics.